يشكل فندق أدينا بريسبان للشقق الفندقىة، ميدان أنزاك بموقعه الممتاز في منطقة تسوق, مطاعم, سياحة ضمن مدينة بريسبان، مكاناً ملائماً لقضاء العطلة بعيداً عن عجقة أيام العمل. يقع مركز المدينة على بعد فقط. ويمكن الوصول إلى المطار خلال 35 دقيقة. كما يمكن الوصول بسهولة إلى ميدان أنزاك, معتكف ومنتجع ستيفاني, ‪Vera Wade Gallery‬. استمتع بالخدمات الراقية والضيافة التي لا مثيل لها بهذا الفندق في بريسبان. يمكن لضيوف الفندق الاستمتاع بالميزات التالية على أرض الفندق: خدمة الغرف على مدار الساعة, خدمة التنظيف يوميًا, توصيل من البقالية, خدمة سيارات الأجرة, خدمة حجز التذاكر . لقد جهزت هذه الإقامة الفندقية بعناية فائقة لتوفر مستوى عالي من الراحة. في بعض الغرف يجد النزيل تلفزيون بشاشة مسطحة, غرفة معيشة منفصلة, اتصال لاسلكي بالإنترنت, اتصال لاسلكي بشبكة الإنترنت (مجاني), غرف لغير المدخنين. صممت خدمات الاستجمام في الفندق والتي تتضمن تدليك, حديقة لمساعدتك على الاسترخاء والراحة. إن كنت تتطلع إلى إقامة مريحة وهادئة في بريسبان، فستجد في أدينا بريسبان للشقق الفندقىة، ميدان أنزاك بيتك الثاني. يُرجى العلم أن خدمة صف السيارات عن طريق حارس متوفرة في الفندق لقاء رسوم إضافية. تتوافر أماكن محدودة، لذا يوصى بحجز أماكن صف السيارات لضمان التوافر. Repeat customer. Great location to Central Station. The staff were friendly and efficient. The room was clean and the bed most comfortable. My only issue is the restaurant is closed and there is no bar. Not really a problem considering how close to the CBD the Adina is but an in house cooked brekky would be nice. We had two nights stay there and we are so happy with a receptionist named Tricia. She’s so friendly and polite. Thanks for giving us such a good stay. Location is awesome just opposite central station. 5 minutes walk from the Central Station (Direct train to airport). Close to restaurants, shopping centers, cinema.... choice of food. Will stay again. This is right opposite central station. So if you are like me and had a short stay in Brisbane and wanted to be close to the public transport this is a good one. It takes 5 minutes to walk to central station and about 10 minutes to walk to Queen st mall. 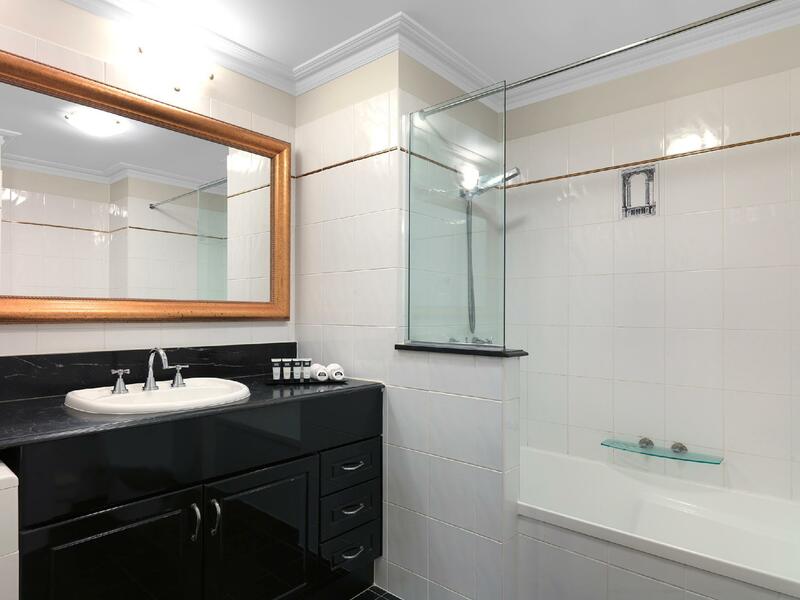 The location is fantastic (directly across the street from Central Station and just one block from Queen street mall), the 1 bedroom apartment was light and airy, clean and nicely furnished with everything I needed. The hotel building is lovely. I will definitely stay again. Stayed overnight only but I can see that being an apartment type hotel, this place suits long staying guests better. It has it's own washing machine, kitchen amenities, etc etc. In-house breakfast is decent and relatively cheap. Good location too. Very good location with reasonable price. Staff very helpful. Just 10 minutes from Queen street mall. It took us about the same time from leaving the hotel to the platform for the train to the airport. 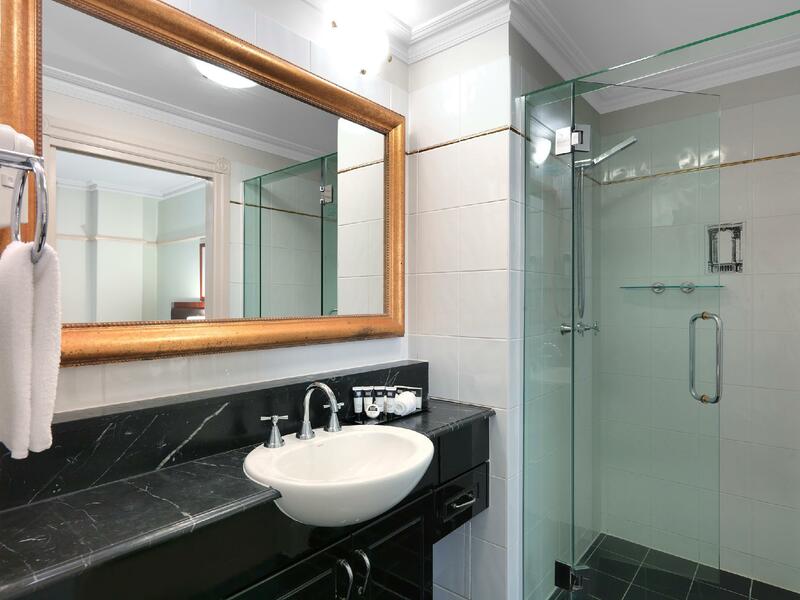 Location excellent, just across central train station. Walking distance to a good variety of eateries. Apartment facilities rather complete. Spacious room. All in I consider the place worth every cent. For sure will stay there again in future. My stay at Adina was excellent as usual. It is in a perfect central location for public transport, shopping and nightlife. Restaurants and take away food is right on your doorstep. Also a grocery store is nearby. The staff are very friendly and helpful. The rooms are self-contained with all the modern comforts you need. 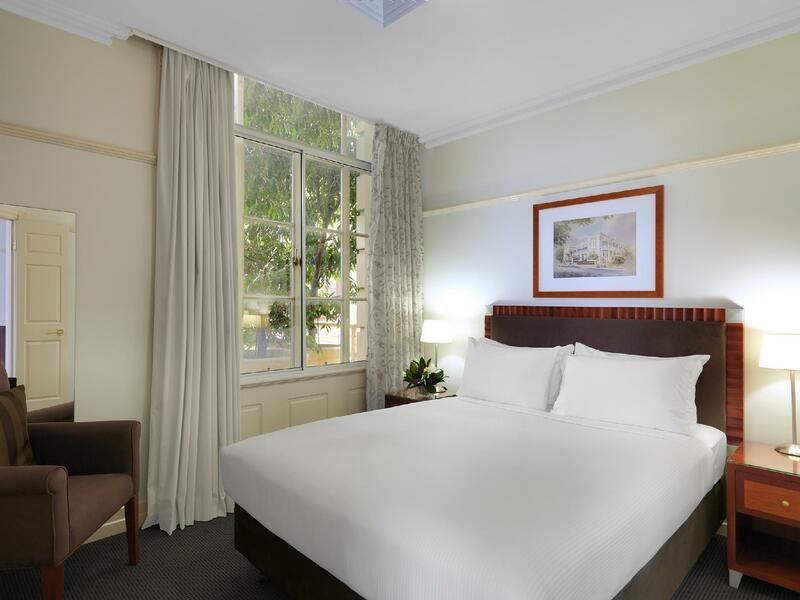 We were looking for a hotel that will maximise our 3 nights in Brisbane and we found that in the Rendezvous on Ann Street. being just opposite the Central Train Station meant access by train from the airport was excellent especially when you have a family of 6 that requires 2 normal taxis. We also enjoyed the proximity to the Queen Street Mall and the short distance to the Citycat or ferry piers. The apartment we stayed is was clean, comfortable and spacious and had all the amenities we required. The service staff were also very helpful. I would definitely recommend this hotel to everyone. It was a superb hotel for our 2 day stay in Brisbane. It was very updated, clean and comfortable. The staff was helpful because the man in the next room had a cough and the staff gladly moved me to a new room. Step out of the arrival area onto the train platofrm, train ride (with free wifi!) of 20 minutes into the city (Central Station) and 5 minutes later you are in your room, checked in and all. Shopping mall and plenty restaurants 5 min around the corner. Highly recommended! Convenient to train for airpot connection, close to shopping, good size suite. Check in was efficient,nice spacious 1bedroom suit. The food was good value for lunch, not bad for the price. No faults with cleanliness of the room. Cant comment on the room service or breakfast as we checked out early. Overall, no complaints. the hotel is located next to the central station, its convenient to take the airtrain from the airport, it takes only 25 minutes. we stay in a studio room for two people, the room is small but clean and tidy. you may ask for free wifi assess in the front desk, the internet connection is good. big shops and malls are all walking distance. hotel is nicely and tastefully renovated. my room was next to main road and so was a bir noisy on friday night due to traffic and also crowd from pub across the road. staff were friendly. free internet for 3 hours (1 voucher) but you can always ask for more vouchers (login name and password) and hotel staff will gladly print one for you. we stayed at the rendezvous just for 1 night coming from cairns on the way back home having to take the plane on early morning from brisbane. so we choose it mainly for the location. and it proved to be an excellent choice. location is fantastic, just across the road opposite the train station (central station) for trains to and from the airport, so you just walk. the area is very safe despite being around a train station. moreover, the location is strategic also for sightseeing and nightlife. 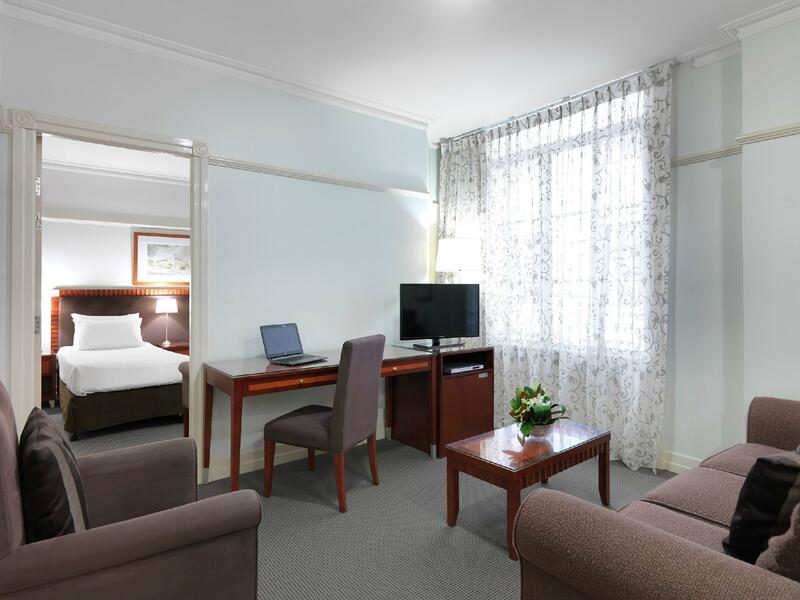 matter of fact, the hotel is just 3 minutes walk from the center (queen's road pedestrian area) 10 mins walk to the riverside and 15 mins walk to brunswick street for wining and dining. hotel is very clean and staff has been extremely helpful and friendly. we had also an upgrade to a suite, which was very nice and comfy. the price was very good too, making this hotel excellent from price/quality point of view. 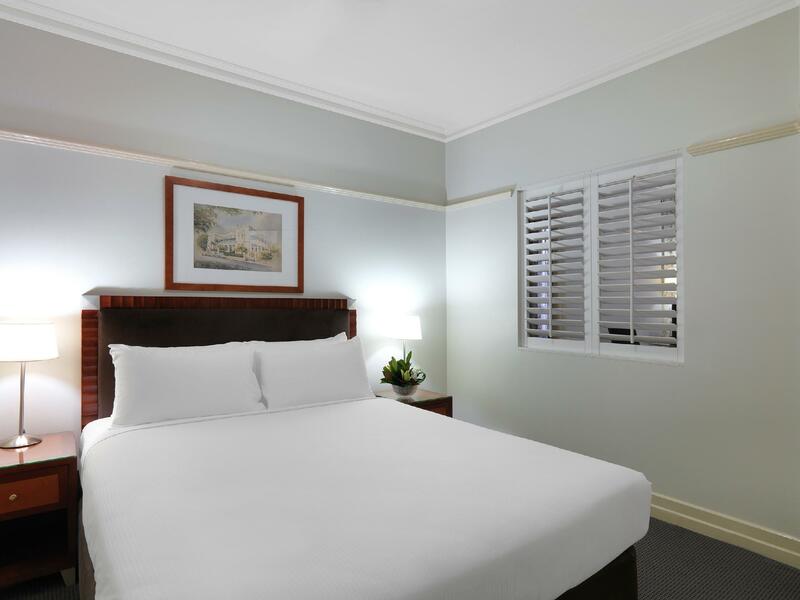 we highly recommend this hotel for whatever you are planning to do in brisbane, being it just a stopover requiring good location or a longer stay to enjoy the city life. 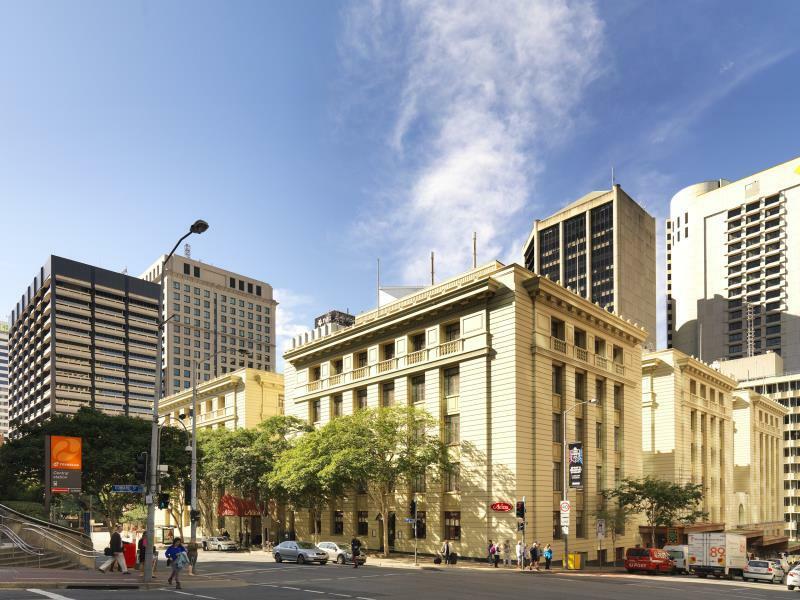 Centrally located within the CBD and most tour spots are walking distance. Upon entrance to the lobby, there is no hotel personnel assisting our luggage. I have stayed in this hotel thrice and I carried my luggage to my room on my own. Nevertheless, all my stay feels cool. The breakfast, though, not too many selections, suited my taste being an Asian. Lovely vintage feel and friendly staff. The location is really great as it is just opposite Central Station. It is also within short walking distance to alot of food,shopping,supermarkets and museums.We didn't have to take any public transport at all because everything is within walking distance. There's also a tourist information centre nearby so that if you need help, the friendly staff there are more than willingly to do so. The hotel comes with a kitchen so you can do some simple cooking as well.